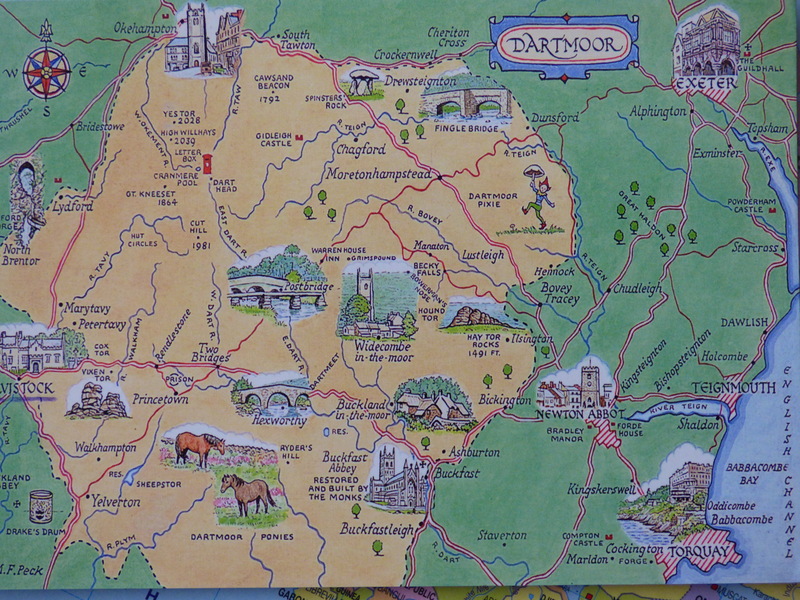 Thanks to Max for sending this card from Dartmoor, especially as it is a map postcard, Geography Cat loves maps, of course! This type of map is quite interesting, obviously it shouldn’t be used for navigation purposes, but what does it tell us about the area it shows? It gives an impression of the type of place that Dartmoor is, it does this by being green and yellow(ish), so it brings to mind grassy countryside. It has pictures of characterful buildings and bridges, Dartmoor ponies, standing stones and even a Pixie. Put these together with the olde-worlde style of the type face, the compass point and the title-banner and you have a postcard that presents Dartmoor as an area that has a lot of history and natural surrounding to entice the tourist. Indeed, Dartmoor does a have to offer for tourists! You can find out more about the many different activities there by clicking on this link. If you could design a postcard of your home region, what would it include? What style would you use and what sort of feeling would you try to invoke?